If you’re looking for a delicious and creamy loaded baked potato soup recipe, this will be your favorite! 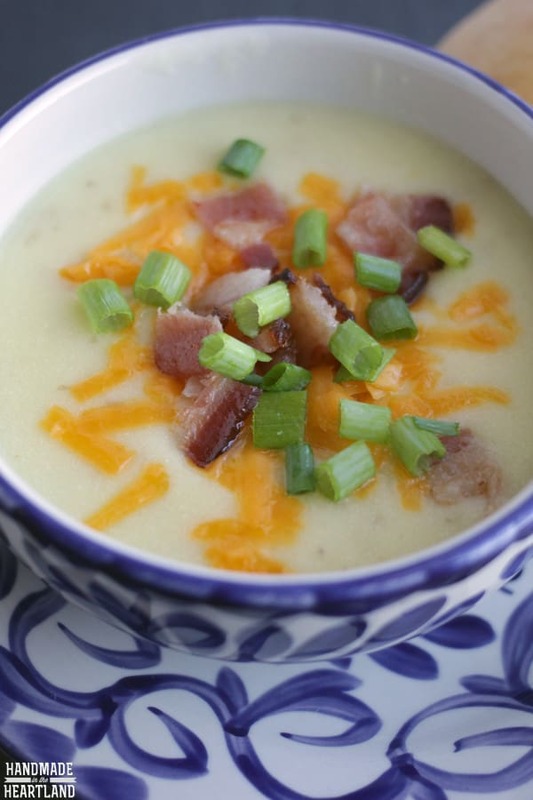 This loaded potato soup is the easiest you’ll ever make, and lower calorie than a lot of other options. Scroll to the bottom of this post to see a video of how it’s made. 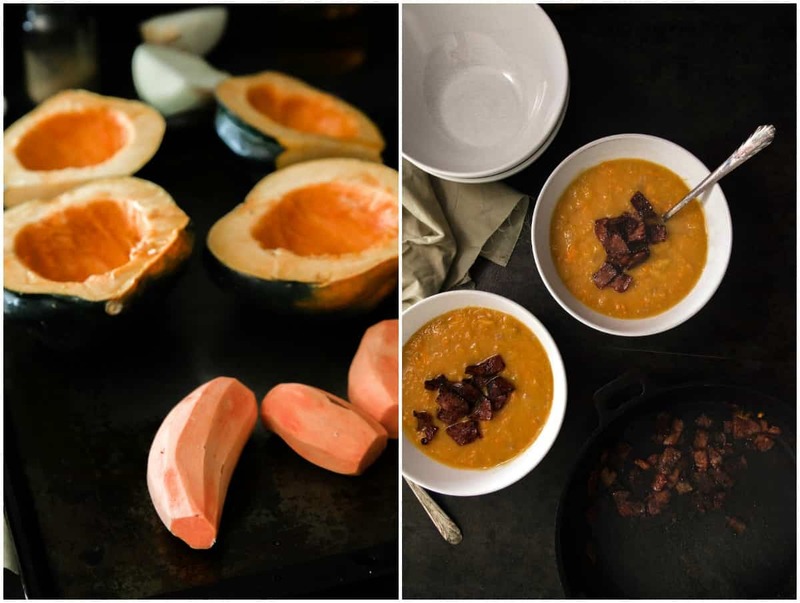 Fall weather calls for soup, am I right?! I love to come home on a chilly fall day and have a delicious soup with bread for dinner, yum. This loaded baked potato soup is a traditional but delicious recipe, one that will be sure to be saved and made year after year in your home. It has all the flavor of a real baked potato and it’s very easy. 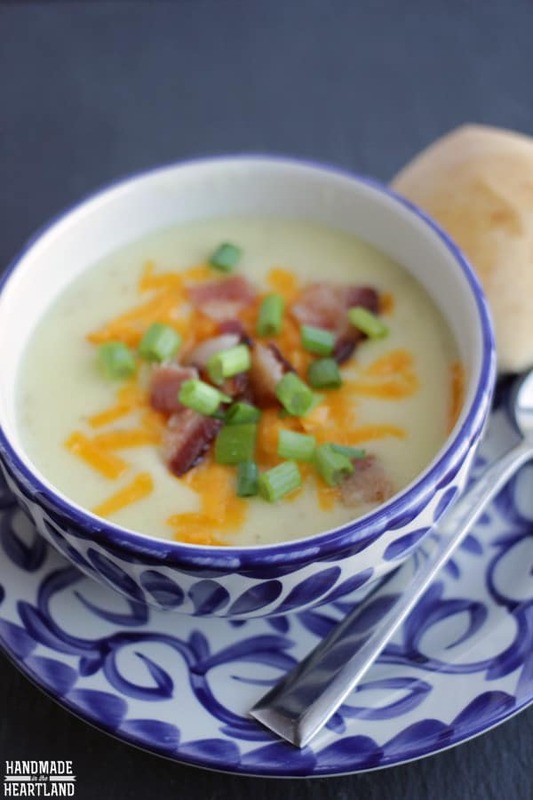 This potato soup recipe is great to dress up if you are adventurous in the kitchen. For example, I’m thinking adding some Sriracha for spiciness, or maybe some roasted red peppers for added flavor. Even if you do stick with the potato soup recipe as-is, you’ll be happy with what it offers as an autumn comfort food, and I guarantee the whole family is going to love it. It’s pretty dang good! Some of the loaded potato soup recipes I’ve seen out there used canned soups, but the advantage of this recipe is that it’s made from scratch, so there’s nothing processed. 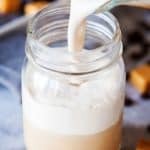 It’s also got fewer calories than a lot of other recipes I’ve seen because it doesn’t use heavy cream. 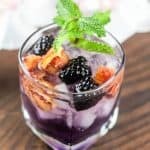 This recipe is Weight Watchers friendly with a few substitutions. Make sure to use fat-free chicken broth, fat-free plain Greek yogurt instead of sour cream, and turkey bacon. For your topping, you can keep the green onions and use 1/8th cup reduced fat shredded cheese per serving. Your total with these substitutions will be 5 points per serving (one serving is a little under 1 1/2 cups). Use cornstarch or flour. Take about 1/2 cup of the broth out of the pot and mix with a few tablespoons of cornstarch or flour in a separate bowl (use a whisk). Then add it back to the main pot and combine. This will prevent clumping. If the soup needs further thickening, repeat. Add more sour cream. Or if you don’t have any more sour cream, you can use yogurt. Add in 1/4 cup increments. It will add a certain tanginess to your soup. Add additional (pureed) ingredients. You can bake an additional potato or two and combine with some of the broth, then puree and add back into the main soup. Remember that a lot of soups typically thicken overnight. So you can always put it in the fridge and wait, too! I like how flavors tend to combine the longer they are together. In fact – I really prefer homemade soup that’s been left overnight! 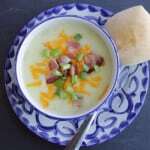 You can refrigerate this loaded potato soup for 3 – 4 days and freeze this soup for 2 – 3 months. Store in the fridge in an airtight container. Store in the freezer in heavy duty freezer bags. If you’ve left this potato soup recipe in the freezer, you can easily defrost it by running it under hot water or letting it sit in a sink of warm water for 15 minutes or so. You want to defrost it enough so that you can break it up into pieces. Places the frozen pieces into a sauce pan and bring to temperature over low-medium heat. If you try to do it too quickly, you’ll scorch your soup. 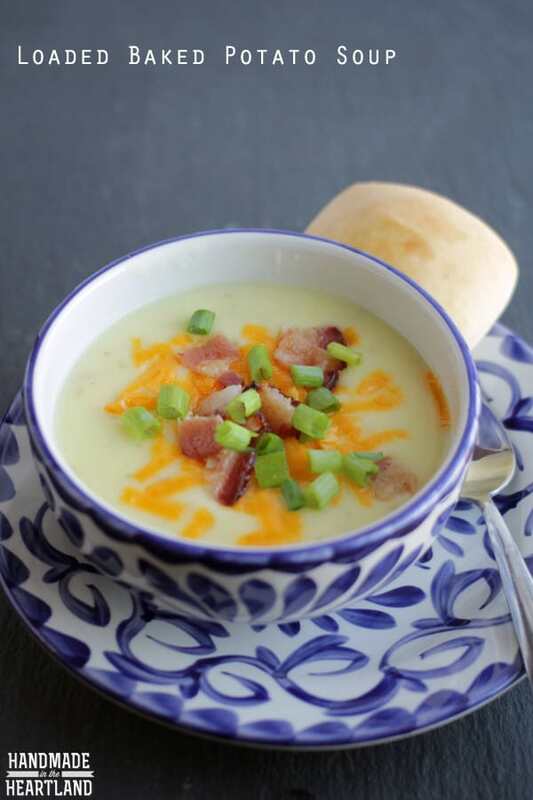 If you're looking for a delicious and creamy loaded baked potato soup recipe, this will be your favorite! 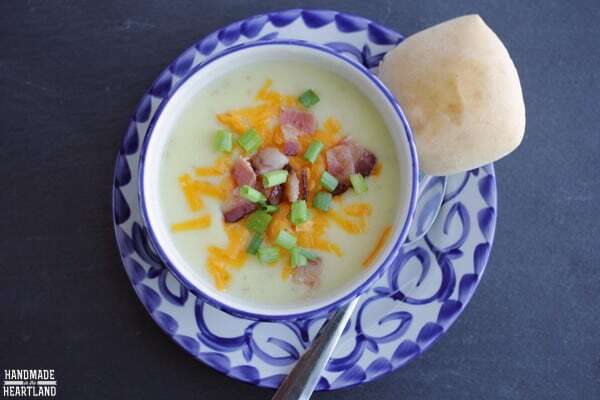 This loaded potato soup is the easiest you'll ever make. Heat a medium sauce pan over medium heat and toss in a little bit of olive oil (or cooking spray) with your diced onions. Saute until translucent, then add chicken broth and potatoes. Bring to a simmer and cook for 20 or so minutes, until the potatoes are fork tender. Another option is to bake the potatoes beforehand, in which case you would only bring to a simmer for a few minutes. While the soup is simmering, cook your bacon and set aside on paper towels. Use an immersion blender or regular blender and puree the soup - you may need to do it in two batches depending on the size of your blender. Once it's smooth, return to the pot and add the sour cream, salt and pepper. whisk until the sour cream is incorporated. 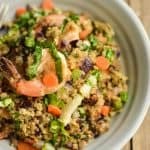 Serve with toppings of shredded cheese, sliced bacon, and green onions. 1 serving = 1.375 cups, which is a little under 1 1/2 cups. What is your favorite potato soup recipe? I’d love to hear in the comments! My sister and I both joined WW 1 yr. ago in Jan. We both have lost around 30 lbs. and then stopped losing. We are on Freestyle but saw something about Simply Filling on line. We would like to know more about it but WW says they quit using and won’t give us any info. Love your recipes. Any ideas on how we can jump start our loses again? Hi Connie! You need to join my friend Sadie’s WW group on Facebook: https://www.facebook.com/groups/wwfreestylesmartpoints/ It’s very supportive and I think you’ll like it! !